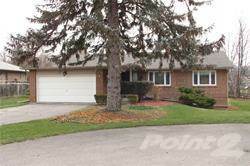 Rare Modern Ranch Bungalow In The Sought After Donalda Golf Club Neighbourhood. Beautifully Updated Throughout With A Spacious, Renovated Open Concept Kitchen, Overlooking Dining Room And Living Room. The Floor To Ceiling Windows Make The Whole Interior Sun-Flooded. Don't Miss The Reno'd Lower Level With Guest Suite, Rec-Room, X-Storage & 2 Baths. Hi, I'd like to find out more information about 5 Minorca Place. Thanks so much!